Social media has become an increasingly important area of focus for marketers. The CMO Club and Bazaar Voice recently surveyed 133 Chief Marketing Officers and found that 64% intended to increase their social media marketing spend in 2010 with 81% expecting to spend 10% or more of their marketing budget in this way. 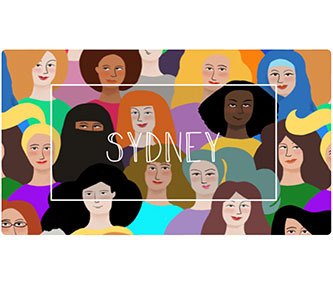 Although some Australian organisations have taken to the medium, many have yet to truly capitalise on this opportunity. With this additional investment has come a greater focus on the use of social media and its return on investment. We’ve spoken to product marketers and are hearing a common theme – that social media is being integrated into their broader marketing strategies. In this post we share a number of practical and (mostly) free tools that can help to provide product marketers with insight into the performance of and outcomes of their social media initiatives and in doing so, help support their overall marketing strategy. We’ve focused the use of tools in three key areas of product marketing – monitoring & listening, gathering feedback and promoting & sharing. If you’ve not used these tools, we recommend checking them out. There’s always going to be some overlap and rather than recommending the use of all tools we suggest you take advantage of those that suit your needs best. If we’ve missed any tools that you think are valuable please let us know! An important function of product marketers is to be aware of what is happening in the market. Customers, competitors, partners and journalists will all be talking about your product or brand. Alerts: Set up a Google Alert to receive emails highlighting where your product or brand name has been mentioned. Google Alerts are useful for picking up traditional media references, such as newspaper articles. Reference chekers: Sites such as Collecta, Social Mention and Interceder are ways of tracking real-time or close to real-time references in social media. Simply enter a search term – your product name for example – and you’ll be given a comprehensive summary of all tags and references made including blog posts, blog comments, twitter updates and any photos or videos. Blog aggregators: Reading blogs provides great insight into all sorts of topics. We definitely recommend that product marketers be active readers of blogs related to their fields. This might be blogs of competitor organisations, partners and even customers. Blog aggregators such as Alltop provide categorised listings of popular blogs and make it somewhat easier to find the most pertinent content. RSS feeds: Nice and simple, RSS feeds allow you to subscriber to newsfeeds that are relevant to you. This can include blogs as well as traditional news sources. Try out services such as Google Feedburner or Feed Demon. Proactive product marketers will seek out feedback from customers and users of their products. This feedback can be invaluable in refining elements of the product itself, or in changing the way that the product is positioned, the value proposition and marketing messages used. Survey tools: Need some quantitative information? check out online survey tools such as Survey Monkey or Zoomerang. These sites allow you to create surveys quickly and easily and export the data to allow for further analysis. Most of these sites let you integrate your own branding or other elements (for a small fee). Polling tools: Don’t need a full survey? Have a yes/no or simple multiple choice question? Tools such as Twit Poll or Poll Daddy let you integrate polls into your existing website, Twitter feed or social network meaning you can access your existing audience. Idea validation: Sites such as User Voice allow product marketers to test out concepts with a selected audience. These are a good way to compare and contrast ideas, assess sentiment and opinions and request comments and suggestions. Product marketers need to make their customers aware of new products and services or of special promotions or initiatives. The traditional steps of creating awareness, generating interest and desire and prompting action require messaging to be delivered by relevant media. Social media provides an additional avenue to get the message out and to do so in a more interactive – and often more cost effective – manner. Facebook: The king of social networks, Facebook has a massive user base and provides a great way for product marketers to engage with customers. File sharing sites: Services such as Scribd, SlideShare and YouTube allow you to share content with the world. Upload public presentations, press releases, product manuals and even television advertisements to help make it easier for customers to find the content they’re looking for. Many of these sites allow for commenting so you can even gather feedback in this way. Blogging: Publishing a blog using services such as WordPress or Blogger are a great way to connect with your customers and partners. It lets you share more information and develop conversations -publish an update on an upcoming product on your blog and you can ask questions to gain valuable feedback. Blogs also help improve your SEO visibility and will appear in searches by individuals using monitoring tools themselves. URL shorteners: Services like bit.ly and tiny allow you to shorten long URLs, making it easier to embed within Tweets and other messages. They also provide you with reporting, showing you who clicked the link, where they came from and other statistical information. Enjoyed this article? 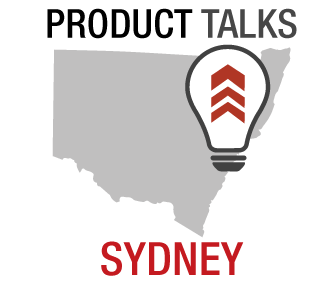 If so we think you’ll be interested in our next Product Talks event, being held in our Sydney office on February 10th. The subject is “Social Media: Challenges and opportunities for product managers and marketers” and will provide a primer on what social media is, why it’s important and how product managers and marketers can use it. We have a panel of guest speakers joining us who will share their experiences with social media. We started “Product Talks” to facilitate conversations about the many common challenges faced by Product Managers. 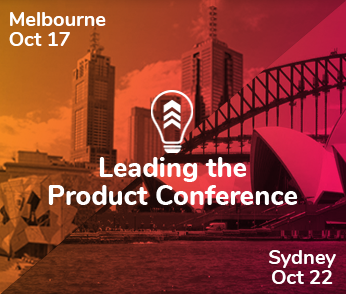 It’s open to anyone in the product management, marketing and related disciplines and is free. Register now to secure your place.